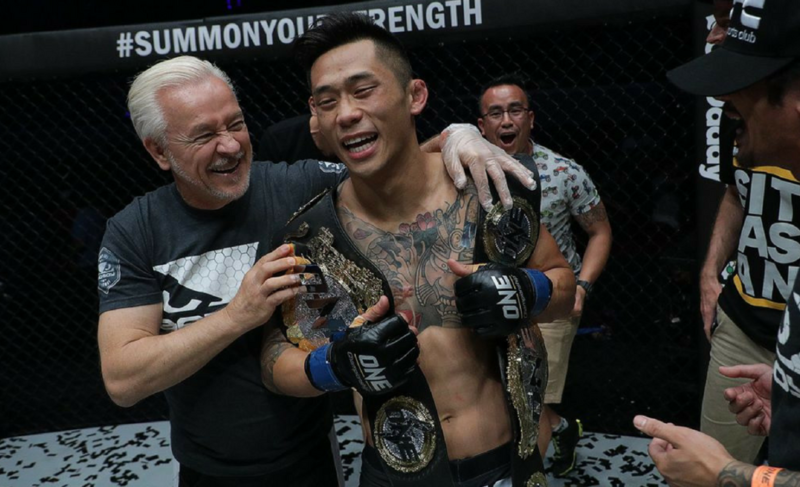 Martin Nguyen, ONE Championship’s two-division champion, will return to action on Friday, 18 May, when he faces Christian Lee in his first title defense. It’s not the first time that Nguyen and Lee will collide, however. Nguyen stole the show when he slept Lee with a choke late in the opening round. 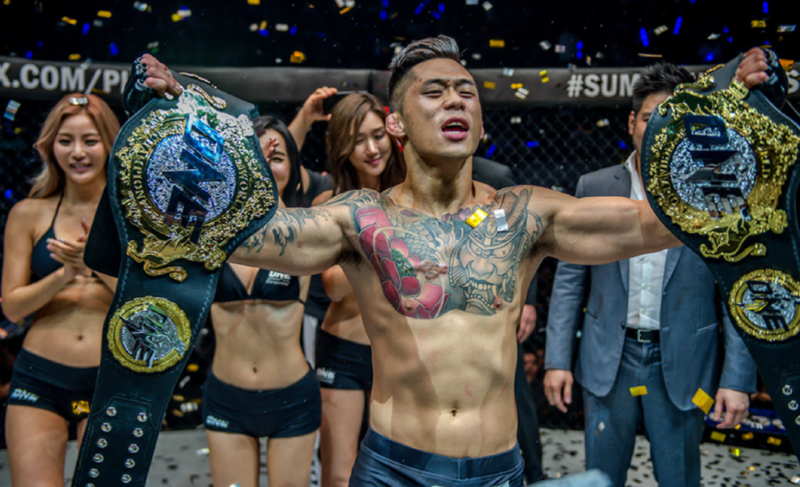 “The Situ-Asian” used the victory to propel him into bigger and better things, including winning the featherweight and lightweight title, and now the two are set to rematch with a lot more on the line. Before Nguyen returns to the cage, let’s reflect on how he became a two-division champion. When Martin Nguyen and Marat Gafurov (15-1) met in Kuala Lumpur, Malaysia, in August last year, Nguyen did what no other martial artist had done before. “The Situ-Asian” defeated a mixed martial artist who had never lost in his 15-fight career. 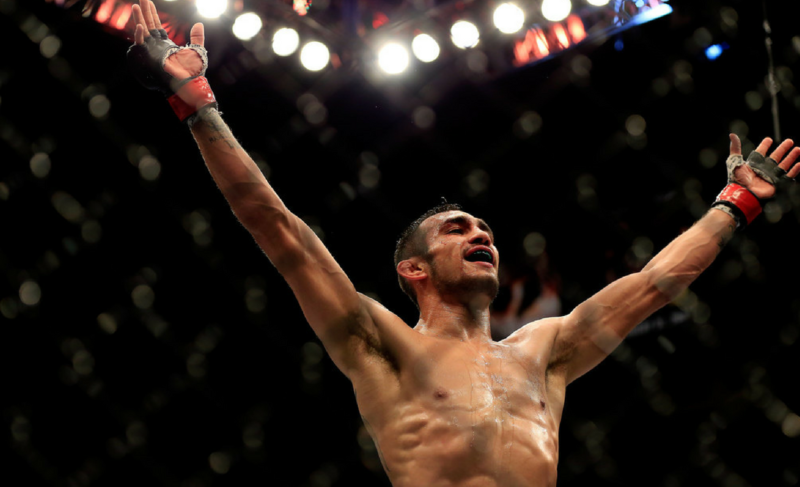 He didn’t just become the first to defeat Gafurov, though, he also did it in tremendous style. Before ONE: Quest for Greatness, Gafurov had toyed with his opposition inside the cage. When Gafurov was in there, you already knew how it was going to end, and it wasn’t going to be pretty. The Russian had masterfully strung together 15 victories and the majority of fans in attendance for Nguyen’s title-challenge were expecting to a see a similar outcome. 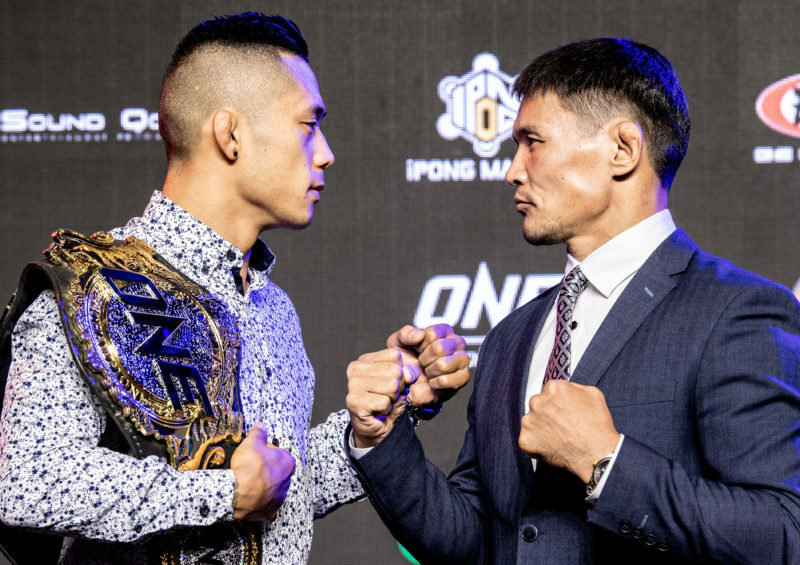 Not long after the contest started, it seemed like it was going to play out almost identically to the first time Nguyen stood toe-to-toe with Gafurov. Just 20 seconds into the first round, the champion stunned Nguyen with a piston-like right hand. Gafurov pounced on his prey before eventually securing a body triangle. However, Nguyen turned, scraped, and eventually shook the clingy Russian away from him. Knowing that he had defended against the most dangerous of positions – something that he wasn’t able to do in 2015 – there was an apparent confidence boost for the challenger. It didn’t get any easier for Nguyen after that, either. When Gafurov shot in for another takedown attempt later in the round, Nguyen mistakenly chose to latch onto the neck of the champion and attempt an arm-in guillotine. It wasn’t effective. Gafurov then proceeded to slice through Nguyen’s guard but was never able to initiate any effective offense. When Nguyen was still in the contest by the end of the first round, that was already considered a small victory. He had survived, but he hadn’t made it out alive just yet. As the two came out to start the second round, the champion was visibly fatigued. Despite wanting his arms around Nguyen more than a mother who is seeing their child return from an overseas holiday, he was never able to hold onto the challenger. Nguyen’s defense was clinical. The technique was superb and his strength and dexterity helped him execute what he and the team at KMA Top Team had drilled over and over again in preparation for the Russian. The champion continued to fade and the challenger was only starting to warm up. An outcome that was considered unthinkable before the contest was now quickly only becoming a matter of time. When Gafurov attempted a lazy leg kick, the heavy-handed challenger responded with a perfectly timed right hand that has changed the complexion of ONE Championship ever since. Nguyen finished the shadow of Gafurov with a series of devastating blows before referee Yuji Shimada stepped in and saved the Russian from any further harm. Gafurov protested the stoppage, but the result had been decided. Besides, the champion was about as functional as your local McDonald’s ice cream machine at 9 pm. 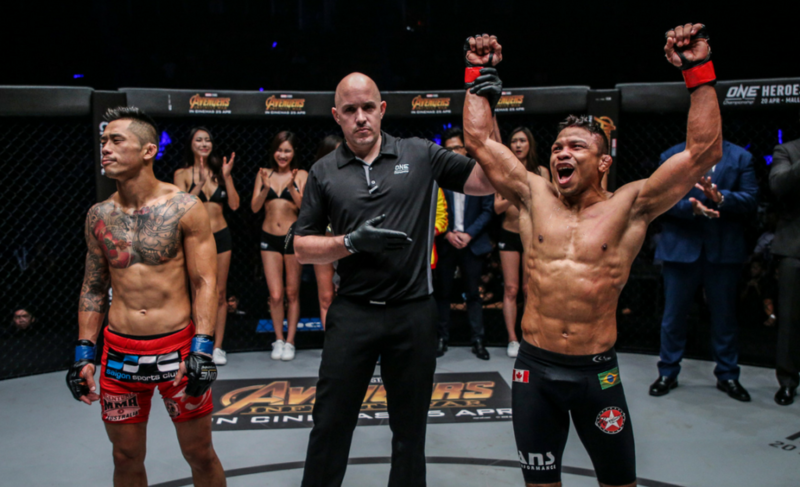 Nguyen climbed the cage and bathed in a tremendous roar from the crowd in Kuala Lumpur. There in attendance, myself, and the fans around me were left with their mouths wide open as we had just witnessed a thrilling underdog victory. It might not be up there with Leicester City winning the 2015/16 English Premier League, or the 16-seeded UMBC stunning the #1 seed Virginia in the first-round of the 2018 NCAA tournament, but Nguyen’s underdog performance was remarkable just because of the way he did it. Who knew that his efforts that night would only be the start of something truly historical? Not long after his incredible performance against Gafurov, Nguyen was scheduled to move up a weight class and take on Filipino fan-favorite Eduard Folayang. Folayang is yet another shark that exists in the waters of ONE Championship. He’s been around forever. 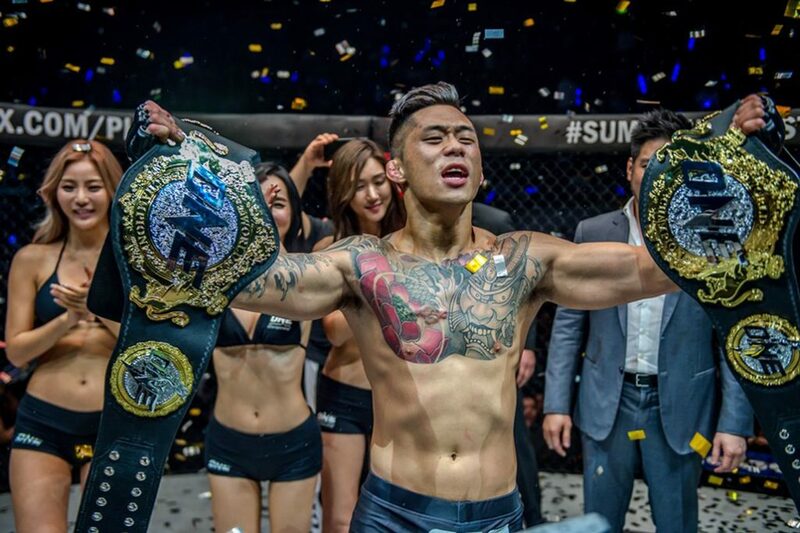 After competing at the first-ever ONE Championship show (ONE FC 1: Champion vs. Champion), Folayang has since gone on to compete 12 times with the organization. Despite being a consistent feature of the lightweight division, Folayang had never tasted gold until he managed to topple Shinya Aoki in November 2016. 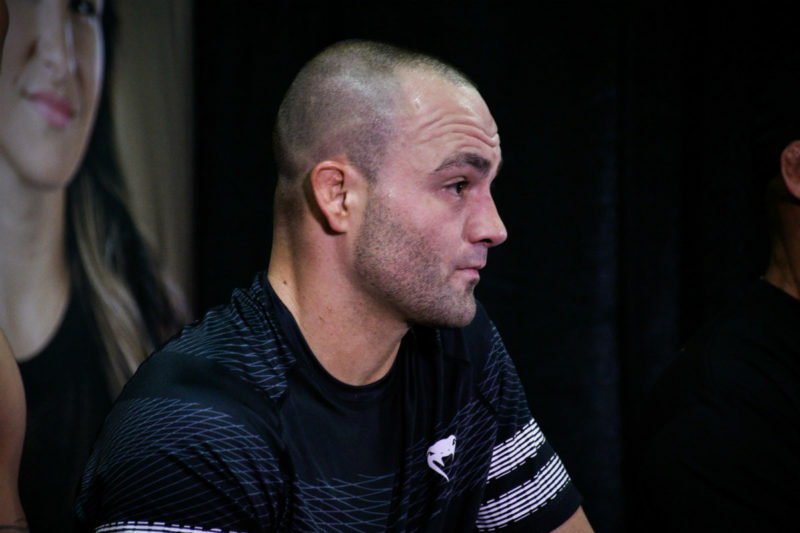 Although he has experienced a fair share of ups-and-downs through his 11-year career, becoming the champion in a relatively stacked division in the organization speaks for itself. The thing that so many are quick to forget about Folayang, though, is that his style is absolutely terrifying. He’s built like a bag of stones and uses a blend of kickboxing and wushu techniques to overwhelm his opponent both physically and mentally. The wushu way of fighting can be puzzling for strikers who come from a Western background, and that makes standing across from Folayang a difficult puzzle to solve. To summarize the expectations going into the fight, Nguyen – who was already relatively small for the featherweight division – was taking on a much larger and frightening lightweight. Unlike when Nguyen challenged Gafurov, though, he stepped into the cage with Folayang as a very slight underdog. That fact alone speaks volumes for the ability of the 29-year-old. The battle for the ONE Lightweight Championship was always going to be a question of whether Nguyen’s right hand packed enough power to stop the champion. Like a highly programmed computer, Nguyen was obtaining all the coordinates that were required to land his patented right hand on the chin of the champion. When the Filipino initiated a spinning attack in the middle of the second round, all the calculations were already complete. Nguyen launched a missile of a right hand and starched the champion 2:20 into the second round. 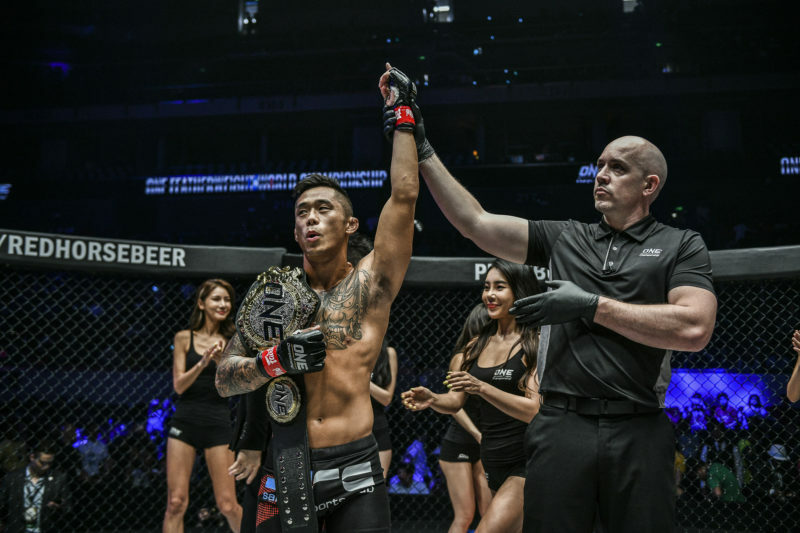 History was made on that night in Manila, Philippines, as Martin “The Situ-Asian” Nguyen become a champion of two divisions.